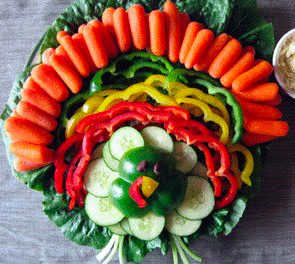 Honey & Butter: Turkey Veggie Platter! Make one this year for your family on Thanksgiving. If you make one this year, please post it on our facebook wall! I bought the ingredients today I will attempt to make this tomorrow, such an awesome idea thanks! I bought the ingredients today and making this tomorrow. Awesome idea thanks!